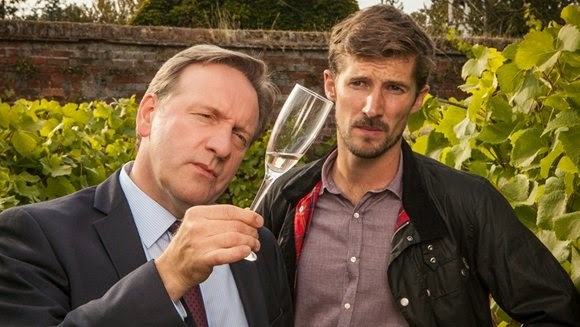 There seems to have been a definite shift back this series into the more quirky, macabre territory that Midsomer Murders used to feature heavily. After a period in which the plots became less unusual and more serious, the current production team have harked back to the earlier days and this year has seen some of the most bizarre murders yet none more so than in the first story The Dagger Club which mixes literary boastfulness with killer roulette wheels. The latter has to be seen to be believed kicking off the series with a real spark. Two of these wheels are delivered anonymously to characters who, upon opening them, find a message saying `whatever you do don’t spin the wheel`. They do of course and it sets off an electric charge that kills them! Even more over the top is a scene in which a character has been squashed by a printing press. When it is opened he has print stencilled across his body! "Mmm, I think I need to sample the evidence"
Can we ever get rid of cold callers? We still have a landline and every so often the phone rings, you pick it up and there is nobody there. Nobody that is except for some odd clicks. Or perhaps the sound of people in the background as if their phone has been left off the hook. This is the world of cold calling which the government, perhaps mindful of the impending election, is promising to do something about. Whether they can do anything is another matter; some people who have gone ex-directory claim they still receive these calls even though in theory their number is known only to people they know. It’s easy to see that some older people or those who live alone might feel they are being stalked by a mysterious figure intent with some ill - intentioned motive. In a way they are because at the end of the day many of these unsolicited calls are to sell you something you probably don’t want. I could have insulated our loft about ten times over in the past year had I responded positively to such enquiries. Equally I could have filed dozens of PPI complaints, insulated the walls, replaced the windows and even switched gas provider. Which is odd because we don’t have any gas. People have tried various methods to get their own back including trying to keep the caller on the line for as long as possible, pretending to be someone else or even blowing a loud whistle down the phone. But for some people they are, at best, a nuisance and at worst a worry. The prevalence of cold calling suggests there is too much information about each of us floating about especially as these unwanted calls have found their way to smartphones as well. Can we do anything about it? Well short of refusing to sign up to anything which in the online world is difficult, all we can really do is carry on complaining. You have to feel some sympathy with the people who have to do these jobs; imagine spending your day phoning people who don’t want to speak to you and may insult you as well. If responsible firms and places like banks and even the government can call a halt to the behaviour then it would certainly be a step forward because then we’ll know that we can swiftly decline any cold calls we get. There are plenty of other advertising and promotional avenues around today- more than ever in fact- for cold calling to be dropped. Being able to see the number of calls, even if it is not given by the caller, could be a help as well. If all else fails and cold calls continue to come then you can always resort of playing a recording of a baying moose down the phone and that would probably ensure you are left alone. Nothing is too over the top or ostentatious for the Wachoswki’s latest crazy space opera. 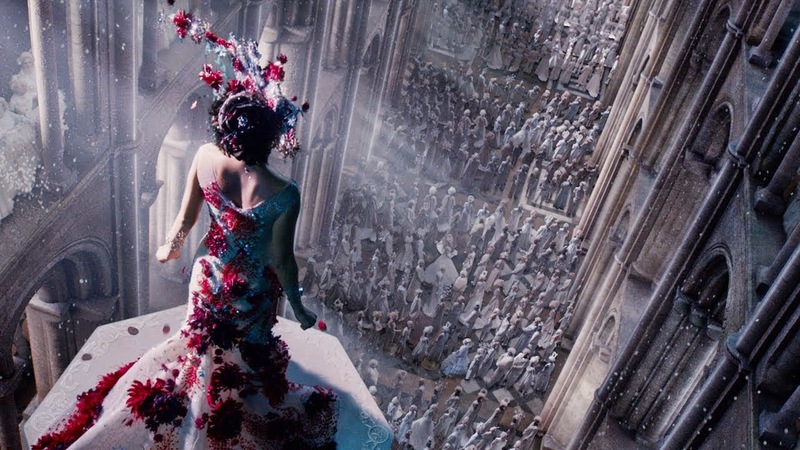 In many respects Jupiter Ascending is exactly the sort of film you’d imagine the Wachowskis might deliver. It is unashamedly over the top, packed with a raft of exposition and something of an interior designer’s worst nightmare. Chandeliers on a spaceship? Ostentatious gold statues everywhere? Really? 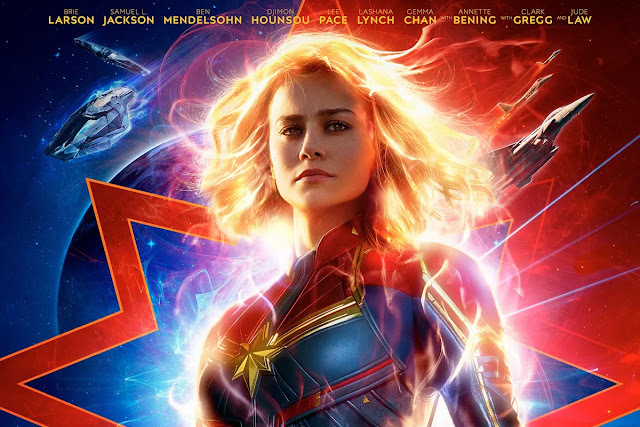 Yet buried somewhere in the midst of this smorgasbord of film fantasy motifs is a decent enough idea struggling to make itself heard above the aural and visual din. A typical low key scene from Jupiter Ascending. Steve Wright,"Hello I'm Steve Wright and welcome to another edition of Top of the Pops. And the charts to Jefferson Starship." It's Steve Wright's first show. He only started as a Radio One DJ in January 1980 so he's really been rushed on to Top of the Pops. Simon Bates had to wait ages for his turn. The classic line-up I remember is almost completely in place. Only Gary "sloppy bit" Davies is missing. So how does Steve Wright do? Not bad. It's a more polished performance than Simon Bates gave at the end of 1979 but Steve Wright needs to learn to stop waggling his head around so much. 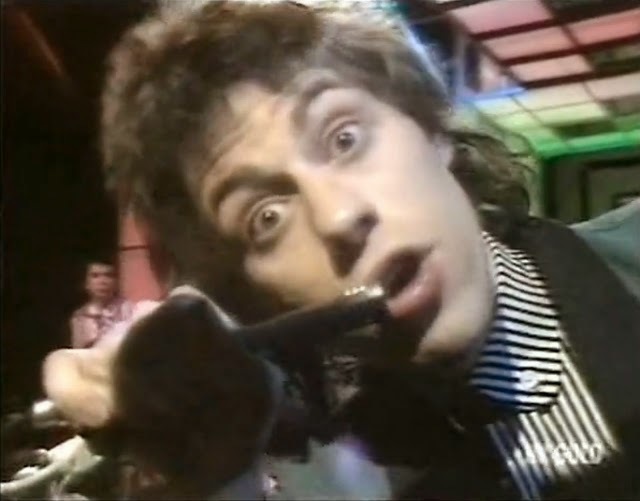 Boomtown Rats: Bob mistakes a microphone for a Mars bar. There are moments during Mathew Vaughn’s latest film when you can only applaud the audacity of what is on screen. Gleefully playing with spy archetypes, in particular James Bond, Harry Palmer and also TV’s original Avenger John Steed, is one thing and would be more than enough. 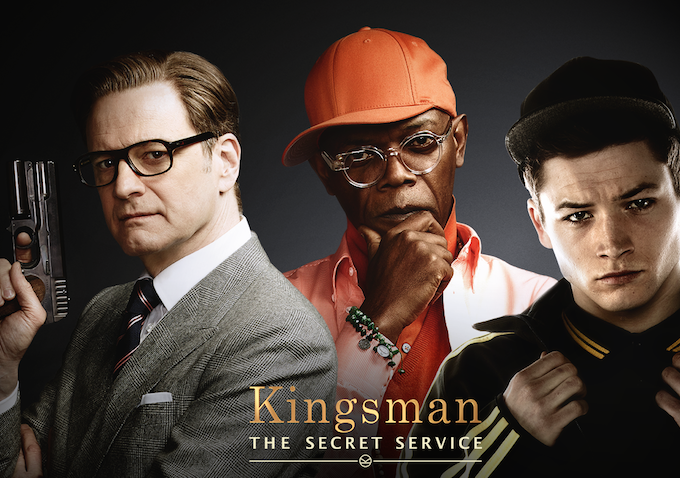 Yet Kingsman -The Secret Service goes further and does what films nowadays are not supposed to do by making excessive violence seem fun and rather cool. The result is something that will certainly not appeal to anyone who is squeamish or touchy about such matters- though the narrative even ropes them in by having a dangerous villain who can’t look at violence! For the rest of us this film is a riot, sometimes literally, from start to finish.